Where to Buy Meridian 25WG Insecticide, Meridian 25WG Lawn Insecticide - 17 Oz Bottle - $104.55 for Sale with Fast Free Shipping! 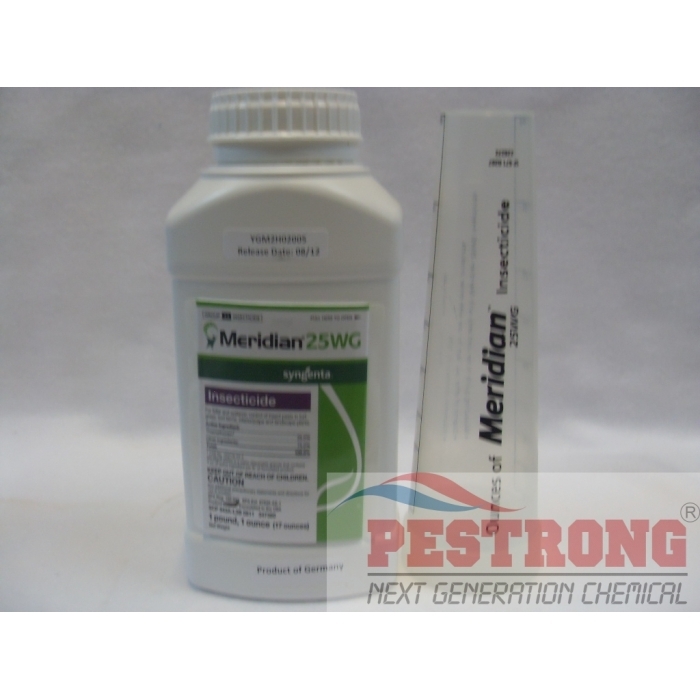 Meridian 25WG Lawn Insecticide - 17 Oz Bottle provides foliar and systemic control of grubs and insects include fire ants in turf and ornamentals. It has a wide application window and does not have to be watered in until up to 7 days after application. It is also effective on a wide range of ornamentals around golf courses, residential lawns and interiorscapes. The active ingredient, thiamethoxam, works both through insect ingestion and contact activity. Tree, Flowers and Ornamentals : 2.0 - 8.5 oz. per 100 gal. I had a serious grub problem last year and this year I remembered and used meridian, it sure did work, my turf was beautiful, healthy and insect free all the way from august up to now!